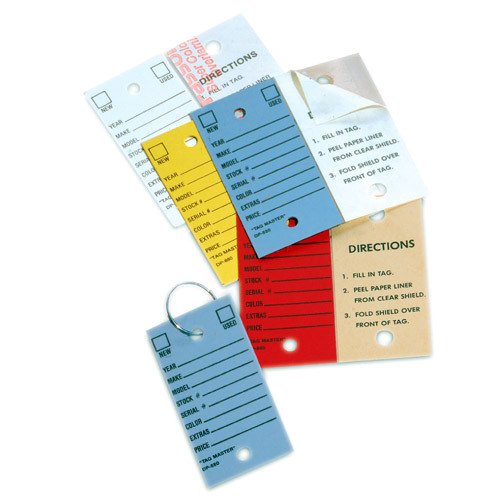 Heavy card stock key tag. Is pre Laminated, simply write in your info, and peel the liner on the other side to permanently seal the tag in clear plastic. Pre printed with 8 lines on front, back is blank, so you can use a sticker to put your name on there. The Tags measure 2 3/4" High and 1 3/8" Wide. There are two holes, one each at the top and the bottom, the clear plastic laminate makes the holes reinforced.